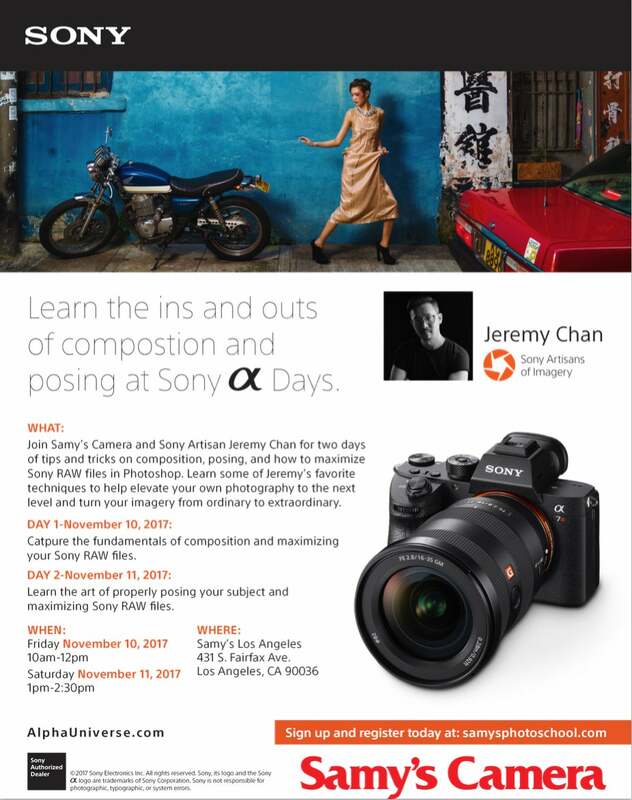 Join Sony Artisan Jeremy Chan for a 2-day class during Sony α Days at Samy’s Camera Los Angeles. You'll learn tips and tricks on composition, posing and how to maximize Sony RAW files in Photoshop. Learn some of Jeremy's favorite techniques to help elevate your own photography to the next level and turn your imagery from ordinary to extraordinary. Capture the fundamentals of composition and maximizing your Sony RAW files. Learn the art of properly posing your subject and maximizing Sony RAW files.